These 20mm nylon slip through straps are the exact same ones that come as original equipment with our Group B watch. Complete with sewn-in Autodromo label, and custom stainless steel signed buckle, these are not your off-the-shelf “NATO strap”. 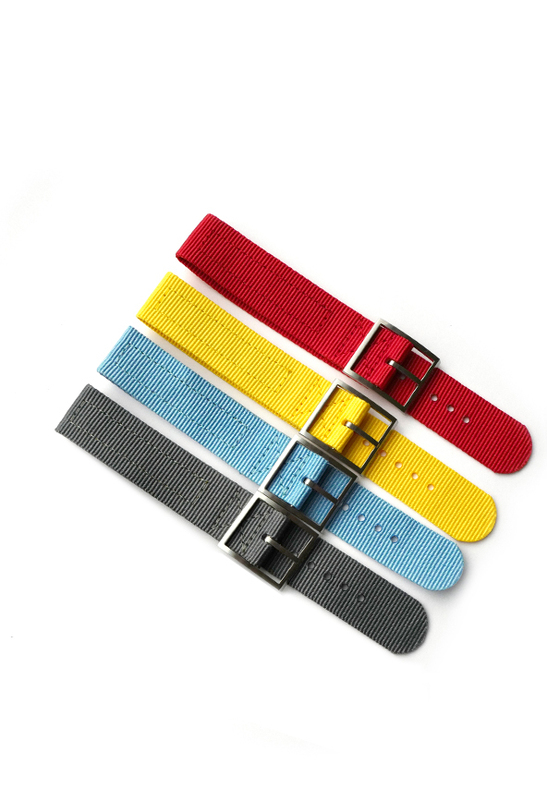 Unlike a conventional NATO style strap, the Group B strap is single piece with no additional hardware besides the buckle, which has an integrated keeper. The Racing harness-inspired Autodromo label can be worn facing in or out, as per your preference; The direction of the buckle can be reversed with a spring bar tool. The strap measures 235mm in length, not including the buckle.